Though looking outside today there may only be the last twinkle in the eye left. Winter is battling its way through and wiping that smile firmly from the face of the earth. 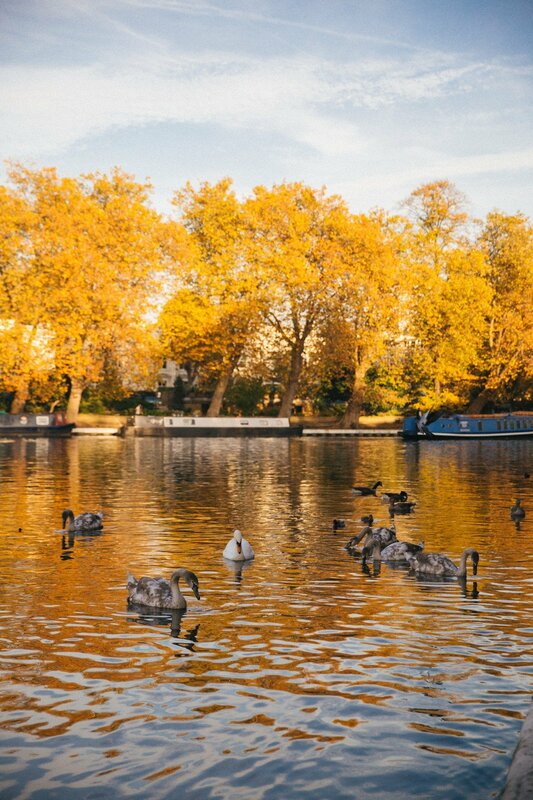 For those not quite ready to give in yet, there is a little spot in London where Autumn holds fast. London’s very own Little Venice. Here you can still catch the last of the leaves, the sun falling through them onto the rippling water below. 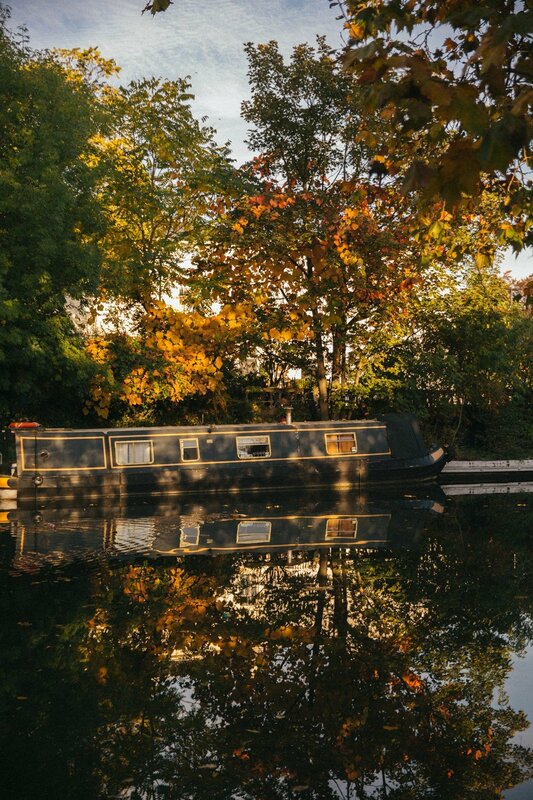 Take a stroll along the canal and dream of life on a houseboat. It’s just the spot to escape the hustle and bustle of city life. Drift away with your own thoughts and unplug. With the light dancing on the water, the breeze in the trees and that golden sunlight painting the sky. Lucky visitors swim through molten gold. As people pass by in their floating homes. There are theatres, cafes, restaurants and bars for stopping at. ^ You can have a cream tea in a barge at this one! Particularly fun if you’re hosting guests from out of town, as you get quite the view with your jam & cream. Feed the crumbs to the swans, and potter off again. We marched back down the water’s edge to The Waterway for drinks and a spot of late lunch on the terrace. 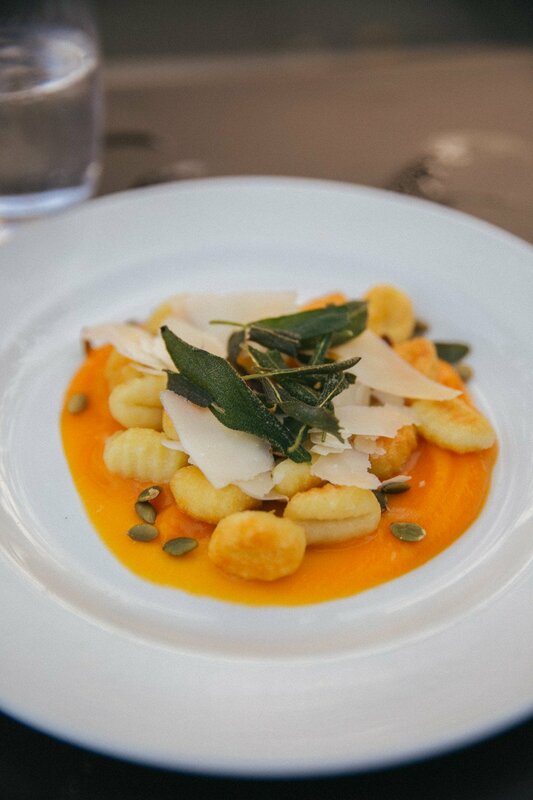 Crispy gnocchi in pumpkin and sage. Cracking roast chicken with kale and gravy. After a cup of tea we went on our way, content that we’d made the very most of the very last of London’s autumn. Make sure you pop over before it’s too late!